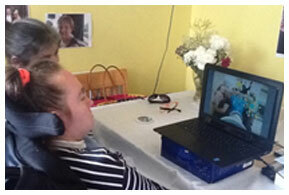 “I am writing to thank you for providing funding for Nicole’s eye gaze equipment. 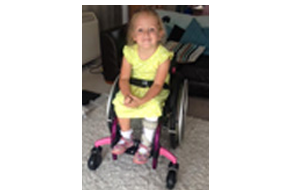 “For me as Isabel’s mum, the wheelchair is so much easier for us and the frame is a lot sturdier and it feels safer for Isabel to be in. And the fact that it is so lightweight is fantastic for me when pushing her on family days out”. “Thank you, truly, for being part of our life. Thank you for your care and support, and thank you for helping us give Gitty the summer of her dreams. 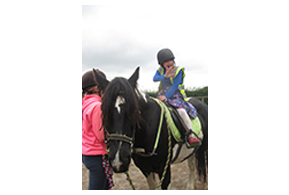 Your grant brought joy and opportunity into Gitty’s life during her fun filled stay at Camp Horizon “Summer Camp” at the same time, giving her parents a well-deserved and most needed break”.